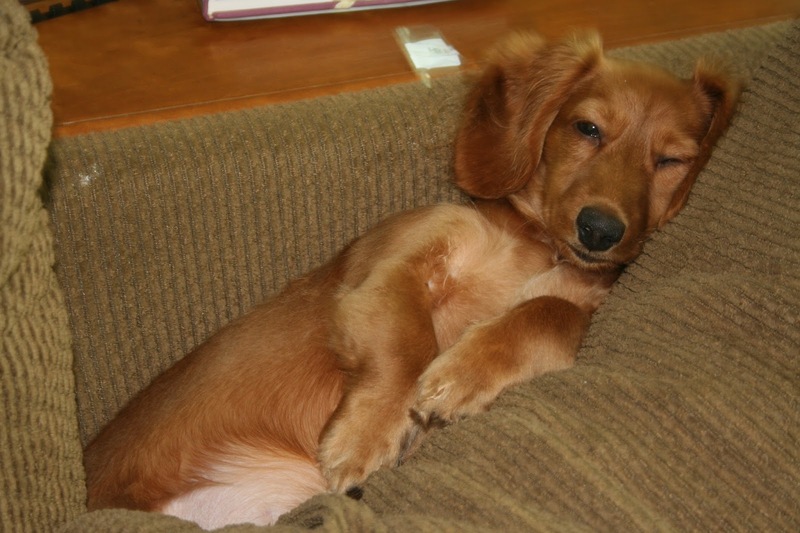 Its been a bit since I have posted so I thought I would share some Doxie pics. Here is Brantley looking super cute sleeping on the middle cushion of our library sofa. 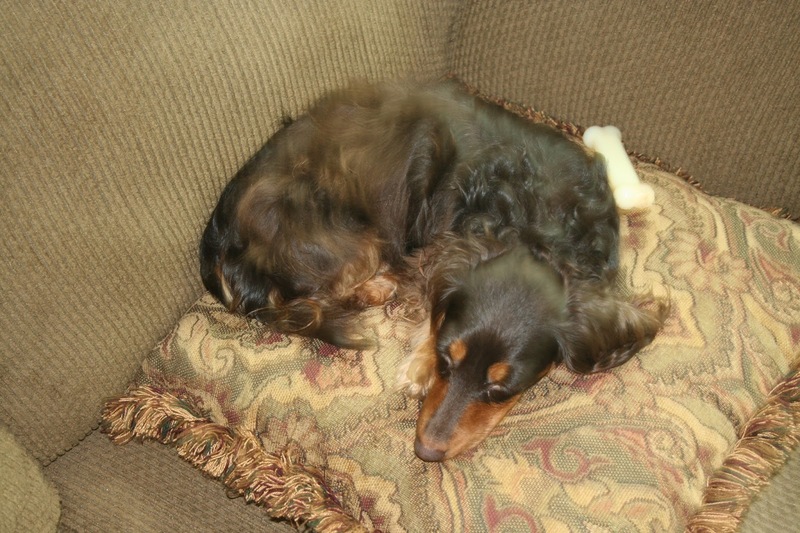 And here is Nessie, hiding her bone from Brantley. I guess she thinks hiding it behind her is keeping it out of sight. 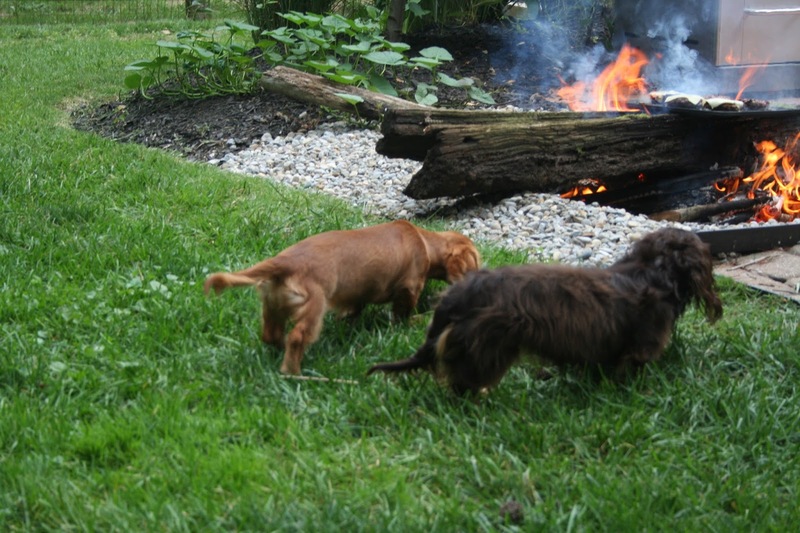 Here are weineys waiting for the cooking, I mean watching the bon fire. 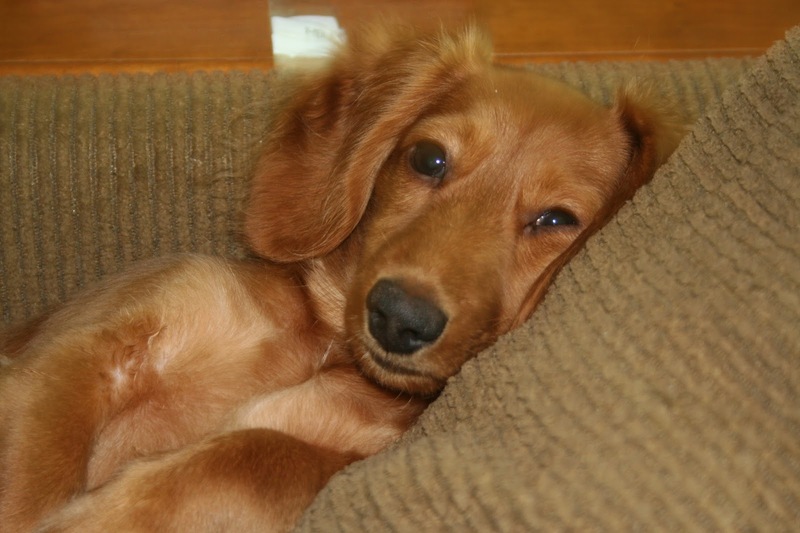 This entry was posted in Dachshund, Home/Family, Photography. Bookmark the permalink. So cute! I miss having a bundle of fur in the house.